Nampa, Idaho is the largest and the fastest growing city in Canyon County, Idaho, USA. The population of Nampa was 81,557 at the 2010 census. 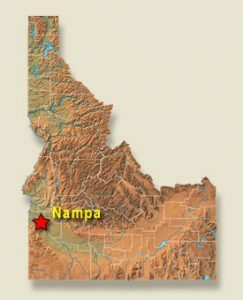 Nampa is located about 20 miles (32 km) west of Boise along Interstate 84, and six miles (10 km) west of Meridian. The name “Nampa” came from a Shoshone word whose meaning is either moccasin or footprint. Terry Reilly Clinics are located in rural and urban communities in the Treasure Valley. Nampa is an agricultural community located in southwestern Idaho in the vast Treasure Valley. Boise offers a thriving cultural scene and is home to a Shakespeare company theatre, museums, good music, great restaurants, great schools and more. Outdoor activities are abundant and include road and mountain biking, hiking, rock climbing, and the best whitewater rafting and kayaking in the country. Boise has its own downhill and cross country ski area only 40 minutes out of town and offers plentiful country skiing terrain. Jonathan Bowman, M.D., Family Medicine; Bridgewater College graduate; Medical School University of Virginia. He completed his residency at the Family Medicine Residency of Idaho Program. He has been a physician in Nampa since 1985. His hobbies include photography, sports, hiking, and traveling with his family. Internal Medicine: Andrew Wilper, M.D. • Paula Carvalho, M.D. • William Weppner, M.D. Hospital Rounding – Some clinic doctors do rounds at the hospital in Nampa, ID. Surgery Opportunities – Dr. Stuart Black and Dr. Sarah Staller do colonoscopies. Dr. Gary Gregerson does GYN and OB surgery. All of the other doctors do office basic procedures. Some of our physicians are the first assist for the C-sections. They all enjoy teaching students. Psychiatry Opportunities – We have our own behavior health clinics are staffed by psych nurse practioners, social workers and counselors. The locations are listed below. OB – Gary Gregerson, M.D. comes to the clinic once a week to work with our OB patients. He also has his own practice. Consulting Specialists – We currently only have Dr. Naugle who comes to do diabetic eye exams. Terry Reilly has seven clinics spread throughout the Treasure Valley. Each clinic location has a physician who works there one or more days a week. We also offer dental services and behavioral health services. Primary hospital call is shared with most of the primary call physicians. This is a Community Health Clinic where students are welcome. 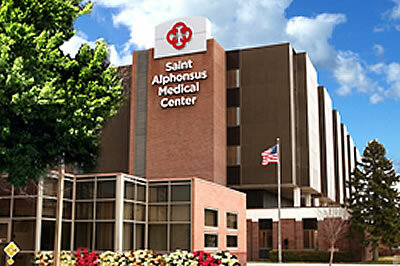 Saint Alphonsus Medical Center — Nampa is a not-for-profit, 152-bed acute care hospital serving the medical needs of the greater Nampa, Idaho area. Saint Alphonsus Regional Medical Center — Boise is part of Saint Alphonsus Health System, a four-hospital, 714-bed integrated healthcare system serving the needs of the people in southwestern Idaho, eastern Oregon and northern Nevada. There have hospitals conveniently located throughout Idaho and eastern Oregon, with locations in: Baker City, Oregon; Boise, Idaho; Nampa, Idaho and Ontario, Oregon. We work with three nursing homes: Trinity Holly (120 beds), Trinity Midland (112 beds), and Nampa Care (100 beds). Each provides 24-hour nursing care, physical therapy, and more. Family Medicine physicians see their patients at the nursing home. The apartment is located in beautiful Nampa close to shopping and to the hospital and clinic. The apartment is suitably furnished. There is a queen bed and it has a desk with a computer with Wi-Fi. Please plan to bring bedding. Nampa is 20 miles west of Boise in southwestern Idaho. The interstate that runs through Nampa is Interstate 84 (west) which has four exits into Nampa. The Nampa Municipal Airport is located there for general aviation. Among the principal roads are Idaho state highway 55, Nampa-Caldwell Boulevard (which connects Nampa with Caldwell), 12th Avenue Road, 16th Avenue, and Garrity Boulevard. The Union Pacific’s Northwest Corridor line, connecting Salt Lake City and points east with the Pacific Northwest, runs through Nampa. Boise Airport: (BOI), also known as Boise Air Terminal is 20 miles away.To see a map of where we are located and/or get directions from other locations, go to maps.google.com (for directions, click “Get Directions” in the upper left-hand corner where you can input the starting address). Nampa has twenty-four parks, the largest of which is Lakeview Park. The Nampa Recreation Center, a 140,000-square-foot facility containing a six-pool aquatics center, three gymnasiums, racquetball courts, a walking/running track, a weight room and exercise equipment, a climbing wall, and a number of other activity areas, opened in 1994. 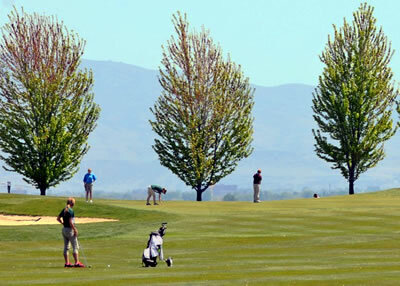 Centennial Golf Course (18 holes) and Ridgecrest Golf Club (27 holes) are owned and operated by the City of Nampa. 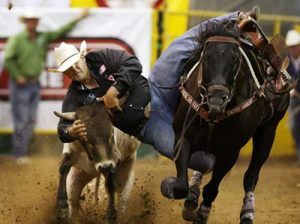 The Idaho Center is a complex of entertainment venues, including a 10,500-seat amphitheater and a 12,279-seat arena featuring 31,200 square feet of arena floor space used for horse shows; and the Sports Center, used for track and field events including the home meets of the Boise State University Broncos track teams. The Treasure Valley is the area of the Western United States where the Payette, Boise, Weiser, Malheur, Owyhee, and Burnt rivers drain into the Snake River. Treasure Valley includes all the lowland areas from Vale, Oregon on the west to Boise, Idaho on the east. Historically, the valley had been known as the Lower Snake River Valley or the Boise River Valley. One of the major attractions of the Treasure Valley is the opportunity for year-round outdoor recreation. There are bike/hiking trails in and around town, including Boise Green Belt. There are numerous nearby trails, lakes and mountain. Boise offers the Boise Coop that has organic food, fresh local produce and wine selections. In addition there is golfing, fishing, hunting, camping, shooting, canoeing, bird watching, rock climbing, skating, hiking and wildlife viewing. In Nampa the average daytime high temperature in January is 39° F and the daily temperature averages 92° F in July.